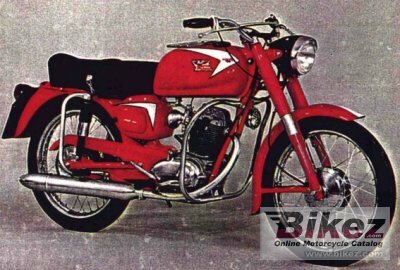 1968 Moto Morini 150. Picture credit Motomoriniclub.nl. Submit more pictures. Comments: Avery quick, strong bike for a 150cc four-stroke. Imported and sold by Camrod Motorcycles in New York City. Believe I paid Dollars 400 new. Modifications compared to previous model: They also offered a 250 cc sport that was shown in my owners manual which I no longer have. Ask questions Join the 68 Moto Morini 150 discussion group or the general Moto Morini discussion group.